Lacrimal or the canalicular system is highly likely to suffer trauma injuries in cases a blunt trauma is inflicted upon the face or the orbit. Generally, injuries due to canalicular trauma are not very visible, so after a trauma, the eyelids should be inspected carefully for any signs of trauma and injury. Canalicular trauma could be caused by high intensity road accidents, fall and sports injuries. Because of an accident, pieces of foreign debris may pierce the lacrimal canaliculi of one or both the eyelids. Apart from all these reasons, one of the most common causes of canalicular trauma is dog bites. Most of the cases of canalicular trauma occur due to animal attacks. Canalicular trauma may be caused by direct injuries or indirect injuries. Any type of high intensity impact may cause the canalicular system to get damaged. Because of the damaged canalicular, the eyes may water excessively. Apart from high impact direct accidents and animal bites, sometimes, canalicular trauma injury may also be caused indirectly. In most cases, the canalicular trauma is inflicted upon very young children or older people. The reason behind this is that young children and old people are accident prone. Also, canalicular trauma has statistically been shown to affect more males as compared to females. Any direct impact to eyelids causes canalicular trauma injury while improper use of tools during child birth may also cause canalicular trauma. How is canalicular trauma handled? The first step before the surgery begins for canalicular trauma is thorough investigation of the injury. The site of the canalicular trauma is inspected for the presence of any foreign bodies which may have entered because of the impact like the sharp pieces of glass or metal. To check for the condition of the canalicular system, the canalicular is probed. For the purpose of diagnosing the exact nature of canalicular trauma sometimes dilation may also be done. Before the surgery the surgeon would need to know the source of the canalicular trauma. Also, during diagnosis, any prior treatment to the naso- lacrimal system should be informed to the surgeon. For diagnosis of the canalicular trauma injury, imaging tests like the CT scan and the MRI may be done on the ocular area. After confirming the integrity of the rest of the ocular structures, the treatment of the canalicular trauma will be done by the surgeon. In most cases in India, any canalicular trauma injury is dealt with after treating the orbital fractures. In almost all cases, orbital fractures and canalicular trauma go hand in hand. In most trauma cases of canalicular, surgery is required to make sure that all the functions of t lacrimal canalicular are restored. If the no ocular structures have suffered trauma other than the canalicular, then canalicular trauma surgery is not an emergency though the surgery should be performed as soon as possible. The surgery for canalicular trauma does not require the patient to be completely unconscious but generally children are given general anesthesia for surgery. The sutures which are done to repair canalicular trauma are generally removed two weeks after the surgery. If the canalicular trauma injury is not treated by surgery it can cause various complications in the ocular system. Therefore surgery is important in most cases. In India, due to rampant dog menace, canalicular trauma is more prevalent than we think. To the already high number of canalicular trauma injuries in India add the number of trauma due to accidents, and it will give you an idea of how common canalicular trauma surgery is in India. The best person to handle canalicular trauma surgery is an oculoplastic surgeon. In most cases in India, canalicular trauma is caused along with orbital injuries. An oculoplastic surgeon is the best person to deal with trauma injuries of all types. Dr. Shome is the top oculoplastic surgeon who has shared his insight on the canalicular trauma surgery. He says in India, very often surgery for canalicular is extremely delayed. This is one of the top reasons people take much longer to heal from this type of trauma surgery. Dr. Shome performs canalicular trauma surgery in Mumbai at his clinic where people come from various parts of India. Mumbai figures amongst the top few cities of India where trauma injuries are very common. In Mumbai trauma surgery is available easily but not even the top hospitals have oculoplastic surgeons on board. Oculoplastic surgery is relatively uncommon super specialty in India. India is one of the top countries in the world where medical tourism is witnessing a boom. However, including Dr. Shome in Mumbai, there are only a few such surgeons all over India. For any canalicular trauma is surgery the best specialist of India should be consulted. If the trauma surgery is not handled properly, long term losses may occur. Dr. Shome is the best reconstructive surgery specialist and performs many such surgeries in Mumbai. In India, there is a lack of standard trauma centers and few such surgery trauma centers are only in cities like Mumbai. Apart from Mumbai, India needs more equipped trauma centers so that such trauma injuries can be managed well. Dr. Shome wants to provide the best trauma surgery and reconstructive surgery options to not only people of Mumbai but rest of India as well. For this, Dr. Shome travels from Mumbai to different cities so that he can help patients get the best surgery. His own clinic has branches in Mumbai as well as Hyderabad. You may not feel the need of super specialist but come to Mumbai and meet Dr. Shome. His experience and precision make him the best for surgery in Mumbai city for ocular injuries. His spectacular work in surgery has been facilitated by many top hospitals in Mumbai. 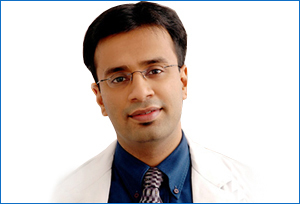 He is a visiting consultant for surgery to some of the top medical centers of Mumbai. For any queries or doubts about surgery, you can contact the The Esthetic Clinics of Dr. Shome.